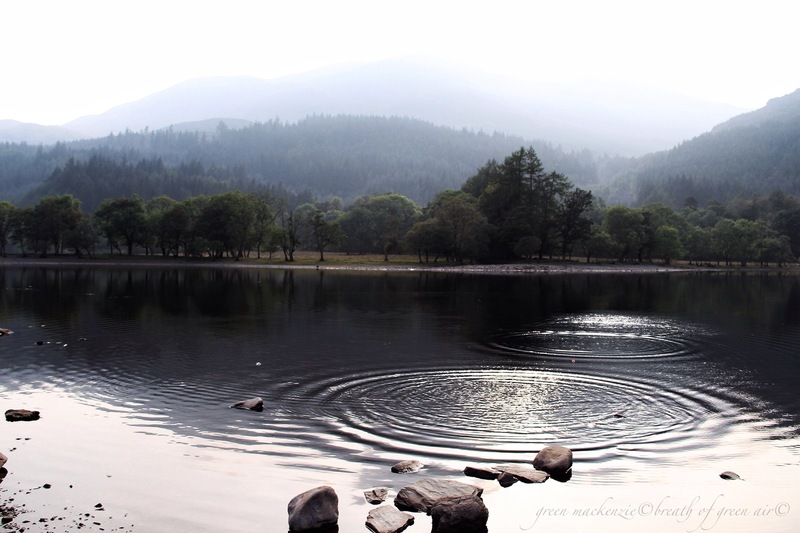 Nothing is ever the same, as the ripples of change spill like liquid silver across the water. And yet, the hills and the sky, the sun and the water all remain. As we rest our feet on the soft green earth of Alba. This entry was posted in mindfulness, nature photo, poem and tagged change, Haiku, mindfulness, mist, nature, photography, poetry, relaxation, scotland, water. Bookmark the permalink. Hey there, from south of Sweden. If a miss the day’s meditation, I’ll come back to this post (again and again). You write so descriptively and beautifully, and the photo is gorgeous. By the way, I was so glad to see your post … hope all is well. I couldn’t quite find my blogging mojo after my last holiday up to Lewis, but I have enjoyed the break. It’s been a funny summer full of change and it’s left me a little blue at times. It’s good to be back, but so many blogs to catch up on! It’s so challenging when the blues seem to take hold of us. I’m very glad you had a nice break away and hope that you are feeling like you again soon. No doubt about it … blogging is a joy and a job. Take your time getting back. We’ll be here! A serene meditation in words and picture. A moment to pause while watching ripples is a moment well spent I feel. You must do this often at your pink lake? Me too Jo, especially in liquid light like this…. As beautiful as always – a light in my day! It’s an image which keeps pulling me back into its soft tranquility. It’s one of a series…. and nobody weeps for the poor, drowned stone. But perhaps they do, deep beneath the ripples and waves….we just can’t hear them! You captured that image magnificently. How do you always manage to do that?? Trial and error is definitely my process! The real frustration is when you can see with your eyes exactly what you want to capture….but it eludes the lens. This shot however did work…..pure Scottish magic! What a lovely shot and beautiful words to go with it. I’ll carry this with me through the day thank you Seonaid. Good to see you! Your words and pictures are so serene… just what I needed! Very lovely. So amazing and zen. Love it! You have one on the most innovative and creative blogs on the internet. I appreciate your talent and creativity. Your photo is beautiful – as well as the words you have written. Autumn is bringing her beautiful golden light to us….